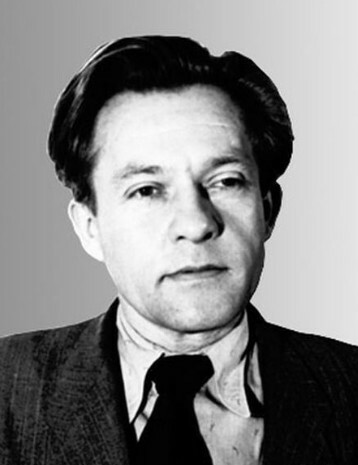 Halan, Yaroslav [Галан, Ярослав], b 27 July 1902 in Dynów, Brzozów county, Galicia, d 25 October 1949 in Lviv. Communist journalist and writer. Before Galicia’s incorporation into the Soviet Ukraine Halan was a member of the literary group Horno and a contributor to the Lviv Sovietophile journal Vikna. First published in 1927, he is the author of propaganda plays—Vantazh (Cargo, 1928), Veronika (1930), Pid zolotym orlom (Under the Golden Eagle, 1948), and Liubov na svitanni (Love at Dawn, 1949)—and socialist-realist stories and pamphlets, many of them aimed against the Ukrainian nationalist and independence movement and the Ukrainian Catholic church. His pro-Soviet activities before and after the Second World War led to his assassination by Ukrainian nationalists. His life and death were effectively exploited by the Soviet regime in its attacks on ‘Ukrainian bourgeois nationalism.’ From 1964 the Halan prize was awarded by the Writers' Union of Ukraine for the best propagandistic journalism. Halan’s works in three volumes were published in Kyiv in 1977–8.